You can reach me out on github, linkedin or by email. Graphics driver 21.20.16.4627 (WDDM 2.1) ❌. Ok you probably can just update the driver, right? You can just go to Intel drivers site and download new driver, right? 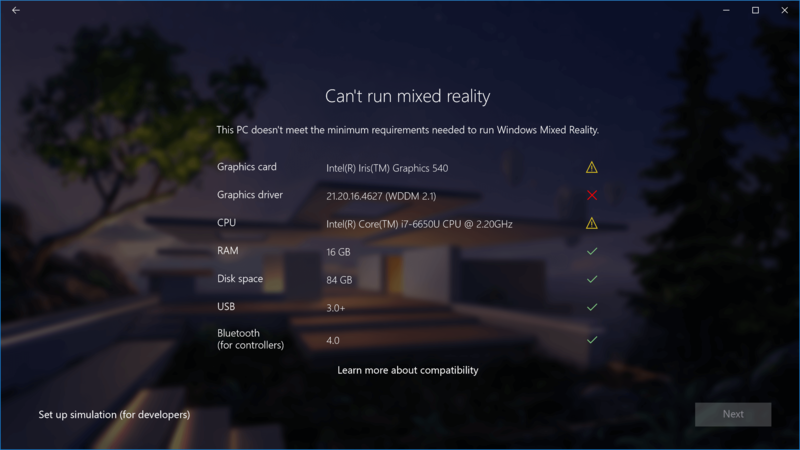 Nope, you can’t do this ( at least at the moment when this article had been written you couldn’t) and apparently neither Microsoft nor Intel are planning to add support for WDDM 2.2 for Iris Graphics cards in any immediate future proof, proof. Fortunately apparently you DON’T really need WDDM 2.2 to run Windows Mixed Reality, it works just fine on WDDM 2.1. All you need to do is tell Mixed Reality Portal that it’s no big deal that you have some problems and your driver doesn’t support WDDM 2.2. In order to ‘force’ enable “NEXT” button event when your PC is supposedly not supported you need to make some changes in the registry. Disclaimer: I don’t guarantee that this method will work for you. I have no idea if this may damage yours PC/Headset (it’s not damaging my Surface as far as I can tell), but you should try this method only at your own risk. Stop here and wait for drivers if you are not ready. So you still want to try, do you? Let’s start. Press “Windows + R”, type “regedit” into the input and press “Enter”. This will open Registry Editor. 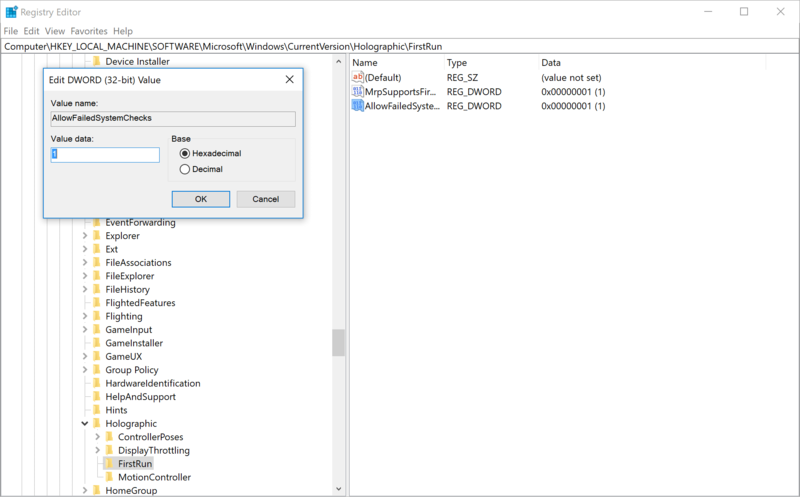 Navigate to HKEY_LOCAL_MACHINE\SOFTWARE\Microsoft\Windows\CurrentVersion\Holographic\FirstRun (just copy and paste this into the address bar at the top). Create a new DWORD (32-bit) value (via context menu) and name it AllowFailedSystemChecks. Double click it and set the value to 1. That’s it. Now You can restart Mixed Reality Portal and the “Next” button should be clickable. At this point, I was pretty confident that everything would work just fine. 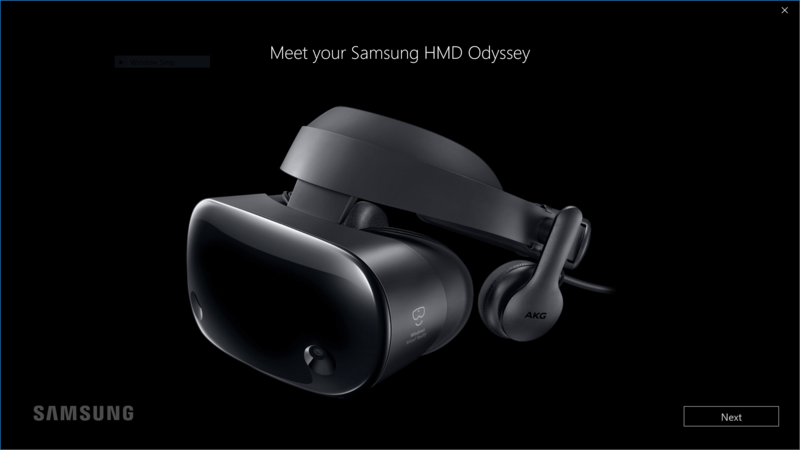 Mixed Reality Portal recognized my Samsung Odyssey headset, and I had even set up boundaries. But as soon as the Portal tutorial tried to start up my monitor began to flicker and no video displayed in the headset. The culprit was my cheap passive Mini DP to HDMI adapter. Microsoft has recomended list of adapters that they recommend but as long as your adapter is an active one and supports 4k output it should be fine. I’ve bough this one. With the proper adapter, everything finally began to work. The overall experience in wmr on Surface Pro 4 is Ok. You for sure will not be able to game on it, but Cliff House experience works fine. Sometimes you can see some lag and controllers jitter a bit, but nothing critical. Changing the baud rate of HC-05 bluetooth module to work with MultiWii. HC-05 is cheap yet capable and easy to use Bluetooth SPP (Serial Port Protocol) module and it can be used to control your quadcopter which runs MultiWii. There is one catch though. Default Baud rate of HC-05 is 9600 and that’s a problem, because MultiWii software expects serial input-output device to operate at 115200. Gladly it’s fairly easy to change Baud rate of HC-05 if you have USB-TTL adapter or Adruino. In this post I’ll show how to change Baud using USB-TTL adapter. USB-TTL adapter. 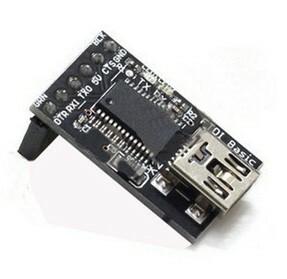 I’ve used this one(FTDI Basic Breakout Arduino USB-TTL 6 PIN 3.3 5V): . Wires to connect HC-05 and USB-TTL. Step 2: Supply power to USB-TTL. Then the HC-05 will enter to AT module. Step 1: Connect PIN34 to the power supply PIN(VCC). Step 2: Supply power to USB-TTL (the PIN34 is also supplied with high level since the PIN34 is connected with power supply PIN). Then the HC-05 will enter to AT module. Now we just need to open Arduino IDE and change Baud rate. Step 4: Check that communication Baud rate is 38400, line endings are “Both NL and CR”. 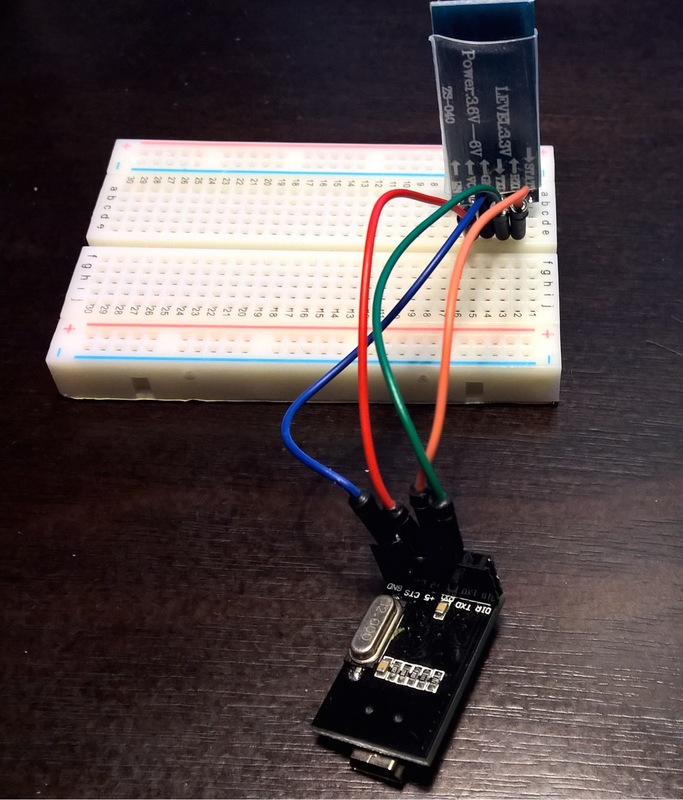 Step 8: Print “AT+UART” to check current Baud rate config . That’s it. We’ve changed the Baud rate of HC-05. Now we can use it with MultiWii.